Sony took a big risk this E3 only focusing on 4 games, and cherry picking never before seen trailers for 7 other games. The thing is, those four games are being made by the top studios in gaming right now. Last of Us Part 2 from NaughtyDog, Ghost of Tsushima from SuckerPunch, Death Stranding from Kojima Productions and Marvel’s Spider-man from Insomniac Games. Last of Us Part 2 shows off Ellie with some new friends named Billy and Dina, at what looks like a community dance. Billy comments on how Ellie’s “Old man” was harassing him on preparations of the next mission because she will be a part of it. She comments on how Billy and Dina will be back together within two weeks time right before Dina comes over. Watch the trailer for the rest! In Ghost of Tsushima, you take control of a Samurai known as Jin. You arrive at a temple that was taken over by Mongols. This game is breathtakingly beautiful and will certainly be another feather in Sony’s amazing IP lineup. Death Stranding’s gameplay trailer was amazing even tho I couldn’t really give you any context on what it really was about. Showed many characters walking across various locations that looked positively breathtakingly beautiful. We then see Norman Reddus’ character many times and some possible story is gleamed from the various dialogue. Check out the video below and get your own idea of what is going on. This one is available in 4K. Insomniac Games’ Marvel Spider-man seems to be the super hero game that we do not deserve, it looks that good. From the animations, voice acting, gameplay, everything is so incredibly smooth. A few times during the gameplay demo below, I forgot I was watching gameplay and thought it was a new show. The animations seem effortless as everyone’ favorite wall-crawler moves from one move to the next and then immediately can start swinging. In between these videos, there was quick shorts of MediaMolecule’s dreams. The following trailers for Destiny 2, Call of Duty: Black Ops 4, Control (Remedy’s new IP), The completely remade Resident Evil 2, Nioh 2, and Trover Saves the Universe, which is from the Creator of Rick and Morty and Squanch Games. These trailers are also below. They also showed a new trailer for Kingdom Hearts 3. Showing of the updated Pirate World, some gameplay and a slightly deeper look into the story. Having the most dialogue out of all the KH3 trailers shown in E3 conferences. 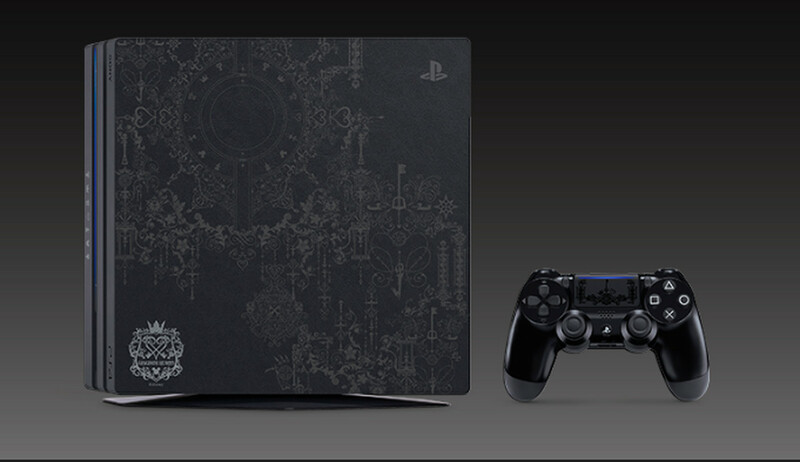 At the end of the trailer, they showed a brand new, AMAZING looking Kindgom Hearts 3 themed PS4 Pro that comes all three Kingdom Hearts games plus a Dynamic theme. The games bundle is also available separately for $99 on the PSN. 1.5+2.5 Remix, 2.8 FCP and the dynamic theme is available right way on purchase. During a short (and awkward) intermission, Sid Shuman talked with Shawn Layden in regards to an update to God of War, and he confirmed that New Game+ is coming to the incredible game. I for one LOVED God of War and 77% of my way to that Platinum trophy. Let me know what you think of Sony’s E3 Press Conference below! Previous story Splatoon 2: Octo Expansion comes out TODAY!